Location: 22 Holyoke St., Cambridge, Mass. 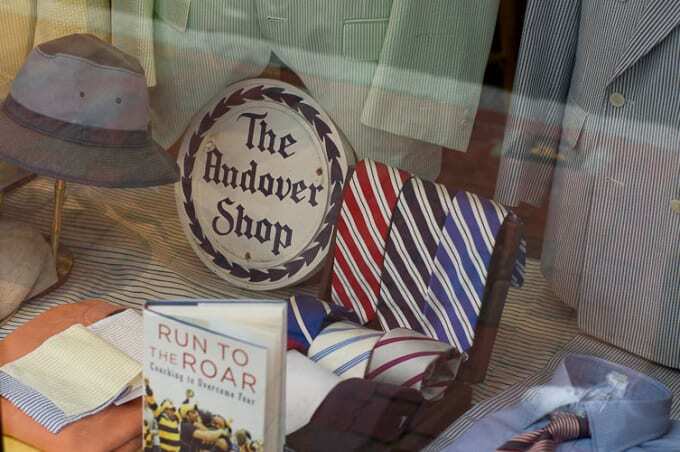 The Andover Shop is the definition of New England prep style. Selling only the best in British-influenced suits, ties, shirts, and the like, the store originally opened to outfit the weatlhy kids who would attend the prestigious Phillips Andover Academy, whom would eventually make their way down to Harvard to shop at the store's Cambridge location. Still, The Andover Shop isn't only a destination for those born into society's elite, Miles Davis used to get bespoke from the shop back in the day, too—which you can shop at to this day.